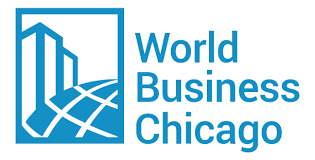 Liz Jellema, Director of Research of World Business Chicago (WBC) visited The Harris School of Public Policy yesterday (Tuesday, October 27th). Liz talked about her career and current role at WBC, the city’s economic strengths, and what’s ahead in terms of economic development from WBC’s perspective. She also addressed the opportunity for a summer internship at WBC.